With winter approaching, a few minutes' maintenance could see your motor through the worst the weather has to offer. Plummeting temperatures and poor weather mean the number of breakdowns are likely to increase throughout the winter months. 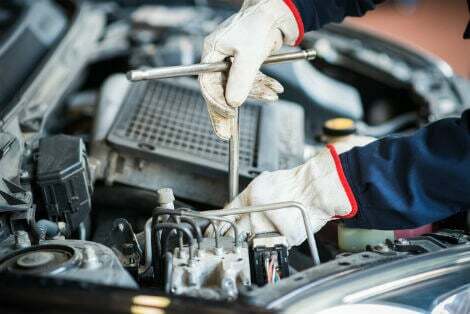 So before the worst winter weather takes hold, here are our top tips for basic motor maintenance that will see you through to spring. 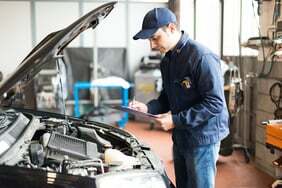 If your car is due a service, get it done before the winter. "While the cold can cause lots of problems for cars, up to half of them could have been prevented by regular servicing and maintenance checks," says Keith Miller, former AA Patrolman of the year. "Also take advantage of the free or discounted 'winter car checks' offered by some garages." The battery should be the first priority," says Miller. "During the winter months it suffers from a double whammy of cold temperatures - reducing the output - and the increased use of lights, heater and blower, which place it under additional strain. "Batteries have an effective life of around five years," he says. "If your car is having problems starting get the battery checked out and replaced if necessary." 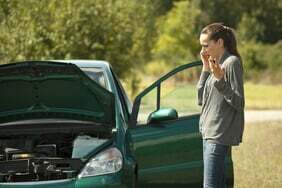 If your car won't start because of a flat battery, you can try giving it a jump start. Engine coolant should be a 50/50 mix of water and antifreeze. "You will need to top it up with antifreeze as it becomes diluted over time," says Miller. "People make the mistake of topping up with water during the year, so the antifreeze gets over-diluted and freezes during very cold weather. "This can lead to the engine over-heating and a very large repair bill." 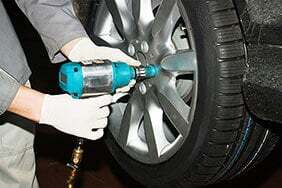 As a car’s tyres are key to both steering and braking, it is essential they are in good condition. "Check tyres for pressure and tread depth," says Miller. "We recommend a minimum of 3mm depth during the winter, compared to the legal minimum of 1.6mm, as this gives better grip." You could also look at changing from summer to winter tyres, as these also offer increased group in snow slush or ice. Check that all lights, indicators and rear reflectors are clean. "Make sure there are no cracked lenses or blown bulbs," says Miller. "And don’t forget to check full beam headlights, fog lights and indicators." 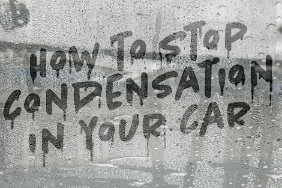 Give your windscreen a thorough clean inside and out and top up your screen washer fluid with antifreeze. "Run your finger down the wiper blades to check for nicks and tears," says Miller. "Check for any chips in the windscreen, as these can grow in the cold weather. Also touch up any chips in the bodywork as the salt deposits on the road will attack these." Before setting off on a longer journey, check the weather forecast, travel news and safest routes. Also, Allow extra journey time to avoid having to rush. And don't forget a fully charged mobile phone. "Drive according to the road and weather conditions," says Mike Pickard from insurer Esure. "Common sense needs to prevail to reduce the number of accidents, so slow down, stay alert, and stay in control." Comprehensive breakdown cover is crucial at this time of year and will give you the peace of mind of knowing you won’t end up stranded in the cold. 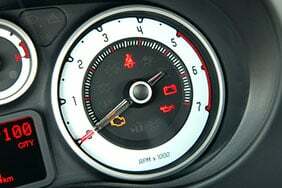 Also, keep at least a quarter of a tank of fuel in case of unexpected delay and check the oil. If you have a bit of motor know-how, check your brake pads, brake discs and brake fluid to ensure the brakes are fast and responsive. 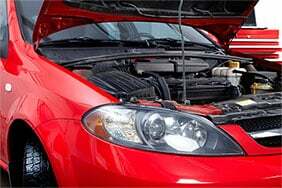 Ensure the fan belt and alternator drive belts are tight and not worn and that plugs and other leads are in good condition and secure. If you don't feel confident making these checks, any garage should be able to help.